Gallop Green is an exclusive 53-unit freehold development located at Woollerton Park off Farrer Road, in the prime residential district 10. All apartments in Gallop Green is well appointed with luxurious and modern fixtures and fittings, full glass windows and roof terraces. Gallop Green is within a 3-minute drive to the popular Holland Village and Orchard Road. 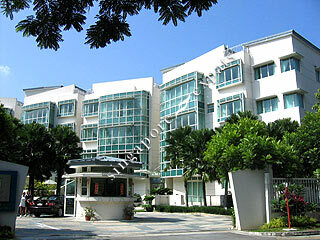 Nearby amenities are located across the road at Farrer Road, where market, shops, eating places, clinics can be found. Gallop Green is also a stone's throw from Coronation Plaza, Serene Centre and the Adam Road Food Centre. Gallop Green is accessible via the nearby Pan Island Expressway (PIE) and public transport is readily available along Farrer Road.